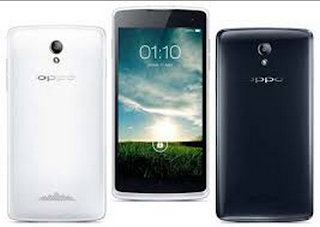 AnyIndo - In this article we are going to share an article it is Unroot Oppo Yoyo R2001 Easily. If you have read our last article, you already read about the article to root Oppo Yoyo R2001. In this chance, we will guide you to unroot Oppo Yoyo R2001 Easily if one day Oppo Yoyo users want to unroot their smartphone. We tested this method on Oppo Yoyo R2001 with android version 4.2.2 Jelly Bean with SuperSU. We don't try this yet in the other versions, but we guess this will work also. Just choose continue and normal mode on that application when you run the application, until the installation is completed. Go to Settings and click on the Unroot Option (you can scroll down the application). When you pressing this option, your Oppo Yoyo R2001 will be immediately unrooted, and you won't access SuperSU application unless you root again your device. That's all about Unroot Oppo Yoyo R2001 Easily. if you have any question related this article you can leave comment bellow. If we are not busy we will reply it as soon as possible. Belum ada tanggapan untuk "Unroot Oppo Yoyo R2001 Easily"